I wasn't sure I was going to like this when I first started it. But by the time I finished it, I had developed a fondness for it. 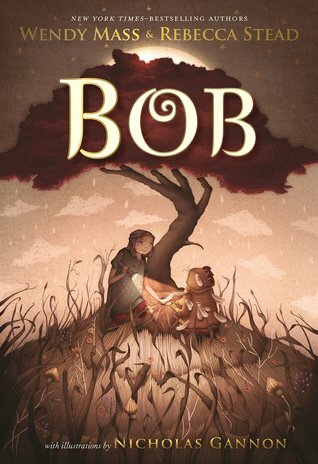 The relationship between Livy and Bob is at the heart of this story. The friendship that first developed between them when Livy was five-years-old and visiting her grandmother in Australia. Bob has patiently lived in a closet for five years, awaiting Livy's return. But Livy doesn't remember Bob or any of the things that they experienced together. And Bob doesn't remember where he came from, he just knows he wants to get back to the home he must have, somewhere. Despite not remembering him, Livy decides to help him find his way home, but in order to do so, she must investigate the events that brought them together in the first place. At the same time, her grandmother's neighborhood is enduring a horrible drought that may drive them from their homes. The story alternates between Livy's and Bob's points of view. Each voice is unique and fun, Livy's near teen skepticism and Bob's undying hopefulness. The story is relatively short and quite easy to read. In fact, I think this one would make a fun read aloud. The handful of illustrations add a nice touch. I've been looking at this one. Glad to hear you liked it!